Abstract: This tutorial will review the broad notion of what the Internet of Things (IoT) means, especially since it has various intertwined cross-cutting concepts associated with it. This will be followed by a high-level consideration of the security issues and challenges in the IoT arena. As part of this, a framework for assessing the security of IoT is presented, along with a survey of recent pieces of research work done in this area, including cryptography, security protocols, and privacy. Bio: Prashant Krishnamurthy is an associate professor in the School of Information Sciences at the University of Pittsburgh. He has a Ph.D. in Electrical Engineering from Worcester Polytechnic Institute. He is a co-founder of the Laboratory of Education and Research in Security Assured Information Systems (LERSAIS), which has been designated as Center of Academic Excellence in information Education and Research (CAE + CAE-R) jointly by the United States NSA and DHS. His research interests include Wireless Network Security, Positioning and Localization, and Cryptography and Information Security. He has had research funding from the National Science Foundation, the National Institute of Standards and Technology, The Army Research Office, and the Commonwealth of Pennsylvania. 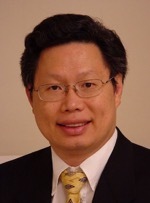 He is the co-author of the textbook Principles of Wireless Networks: A Unified Approach. Abstract: The world is experiencing rapid growth in the amount of published data, which comes from various sources, including physical sensors and social networks. While progress has been made in the analysis of individual social networks, e.g., trend analysis in Twitter, there are significant advantages in the integration of big data from multiple sources. For physical events, the integration of physical sensors and social network data can improve filtering efficiency and quality of results beyond what is feasible in each individual data stream. Disasters are representative physical events with real world impact that often have significant physical sensor and social media coverage. In this tutorial we describe recent research work on processing big data for disaster response and recovery. Specifically, we present a systematic analysis of the computational methods for processing social network data, including a general characterization of messages from social networks during disasters, programmatic acquisition and pre-processing of the data, methods for event detection, data mining and summarization. As an illustrative example, we will present a live demo of the LITMUS landslide information service, and describe the software tools that combine data from both physical sensors and social networks to achieve high quality and wide coverage of disaster event information. LITMUS software tools have been publicly released and a live demo runs on our project web portal. We provide introduction to these software tools and illustrate several examples of their uses, including detection of disaster events, such as landslides and harmful algal blooms. 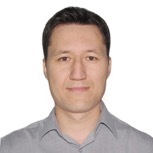 Bio: Aibek Musaev received his Ph.D. degree in Computer Science from Georgia Tech in 2016, where he was advised by Prof. Calton Pu. Before joining the Ph.D. program, he founded and managed a software company Akforta that provided enterprise management solutions. He received his M.S. (2000) and his B.S. (1999) degrees in Computer Science from Georgia Tech. He is a recipient of the Scholarship of the President of the Kyrgyz Republic from 1996 to 1999. His primary research interests are in applied data mining of big data from multiple sources with the current focus on disaster management. In addition to research, he also teaches courses on database systems and software engineering. Bio: Calton Pu's research interests are in the areas of distributed computing, Internet data management, and operating systems. He has published more than 250 papers in journals, book chapters, conference proceedings, and refereed workshops in several system-related areas, including operating systems, transaction processing, systems reliability, security, and Internet data management. He worked on spam and denial of information (with several academic and industry partners), service computing (with IBM Research), and automated system management (with HP Labs). He has served on more than 100 program committees for more than 50 international conferences and workshops, including PC co-chair of SRDS, ICDE, CoopIs, DOA, and general co-chair for CIKM, ICDE, CEAS, and SCC. The sponsors for Calton Pu's research include both government funding agencies such as DARPA, NSF, and companies from industry such as IBM, Intel, and HP. He is an affiliated faculty of Center for Experimental Research in Computer Systems (CERCS), Georgia Tech Information Security Center (GTISC), and Tennenbaum Institute. Pu received his Ph.D. from University of Washington in 1986.